I also had to dust off the classic board game Clue. We had a blast together trying to solve the crimes. 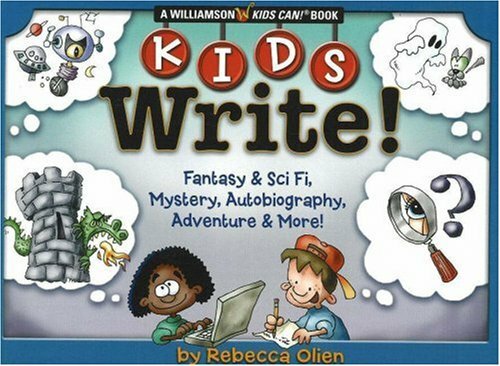 After reading several mysteries and playing Clue, I used Kids Write!, which in my opinion is the most inventive writing resource written by an elementary teacher that totally engages the writers in such a FUN and creative way! It provides tons of ideas on how to teach writing mysteries, such as spy stories, spooky stories, and the classic who dunnit stories. My all-time favorite writing book for young elementary-age children! Since I am a HUGE mystery fan (I am completely hooked on those television shows that solve crimes), I was all in when Kids Write! recommended using photos to tell a story about solving a crime. The boys chose for the crime to be that our beloved pet was abducted and being held for ransom. The kids went crazy setting up clues, such as clothing fibers, a ransom note, and fingerprints. They made it very realistic and used a CSI Field Kit that they received as a present a few years ago. My children took photos of the crime scene and all the evidence. These photographs make me laugh. My sons really paid attention to small details. Here is a ransom note. After the evidence was photographed, it was collected to be taken to the crime lab (a.k.a. my kitchen table) to solve the case. Next, they used the photos to create their stories. 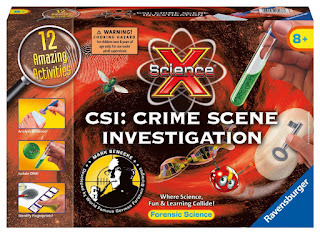 This activity also set the stage for me to teach more investigator-type vocabulary, such as: suspect, witness, evidence, accomplice, and alibi. 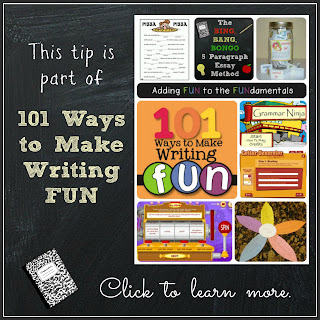 This was an AWESOME writing activity that I believe my boys will always remember. Enjoy making learning come to life!